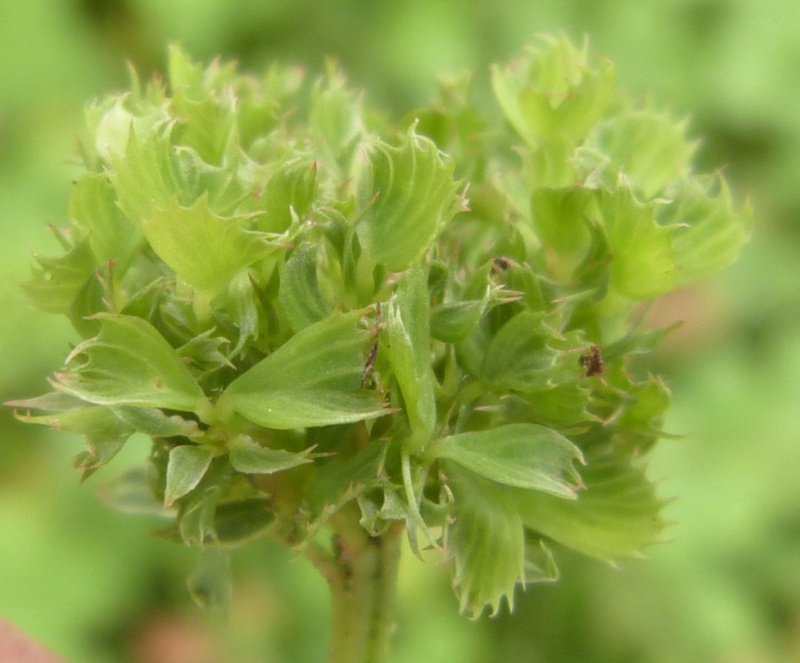 Phyllody is the abnormal development of floral parts into leafy structures. 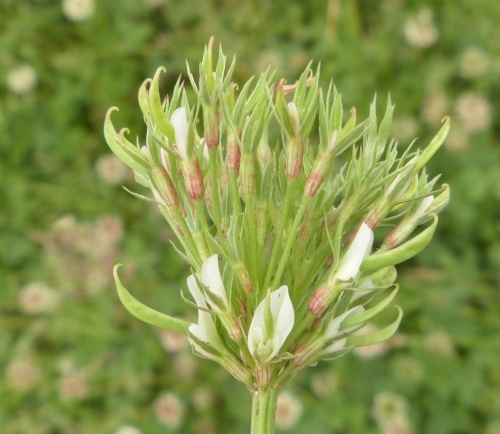 The pathogens that cause phyllodic mutations are called phytoplasmas, parasitic bacteria that feed on the vascular tissue of plants. 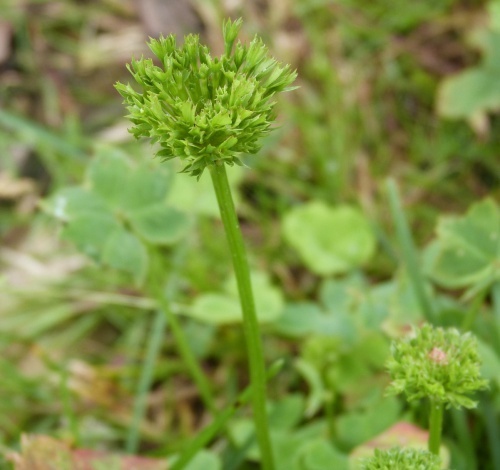 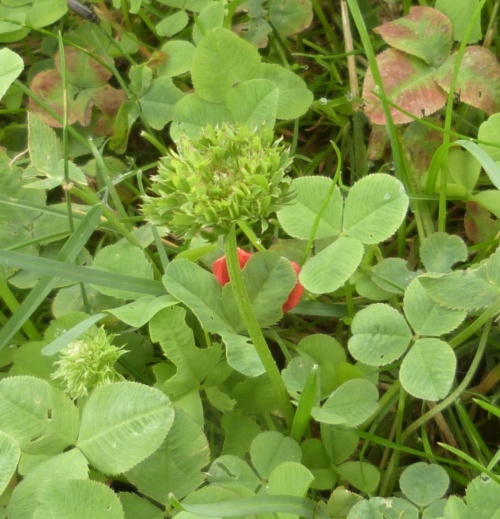 Clover Phyllody can cause the shoot to transform into a mass of small green leaves. This is the only gall known to be caused by a phytoplasma. More information can be found in the British Plant Gall Aidgap key of 2011 at the top of page 334.